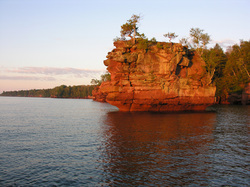 Apostle Islands National Lakeshore is comprised of 21 islands and 12 miles of mainland shoreline. Dotting Lake Superior just off of the Bayfield County shoreline, the "Apostles" have been formed by centuries of freezing, thawing and wave action are a favorite travel destination throughout the year. The Islands can be accessed in a variety of ways...a guided cruise, an island shuttle, sailing or power boating, kayaking, or private boat charters. 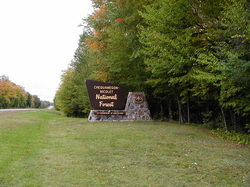 Madeline Island, the largest of the Apostle Islands and the only island with commercial development and a year-round population, is not a part of the National Park property, but can be accessed by ferry most of the year and via ice road in winter. The Iron River National Fish Hatchery is situated on 1,200 acres of the picturesque headwaters of Schacte Creek with several miles of maintained trails for public use including bird watching, hiking, hunting snowshoeing and cross country skiing. 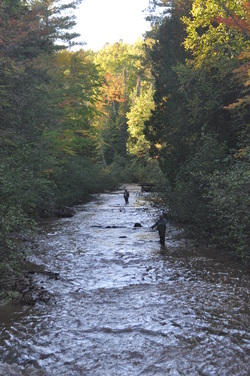 Two million trout are produced annually for distribution in lakes Superior, Michigan and Huron. Self-guided tours are available 365 days a year, and staff-guided tours can be arranged.